8 days to go for Stack up your rewards! With 8 days to go in stack up your rewards think about how you are going to get yourself to the level you want. Most of us have shows this week and can get that little extra by working to get attendance up. If you haven't already, give the new invite system process a try. I am so excited to see this process evolve. I'd love to hear your feedback on it. Summer has ARRIVED and with summer comes changes in everyone's schedules. Think about how you want your business to run in the summer. Now that beach season is upon us, I have opted to move from Sunday afternoon to Wednesday/Thursday evening shows. Those little tweaks can make ALL the difference to attendance and your overall job satisfaction. Take a little time to look at your summer calendar and pick out the days you want to do shows. A huge welcome to our newest teammate, Tanya Noye. We had a show together last Saturday and by Sunday she was hooked. Tanya is so much fun and has her first show on Thursday. I can't wait to see what you do with this business! If you are even remotely considering going to HOOPLA, please talk to me. Both Erin and I are going for our first time and we would LOVE to have someone else join us. July 5th is the close of registration so let's talk if you can't stop thinking about it. 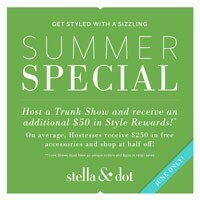 Part of my job as your sponsor is to coach you to success in your Stella & Dot business. Please send me an email if you are interesting in having regular coaching chats - either weekly or bi-weekly and we'll set up a time that works best for our schedules. 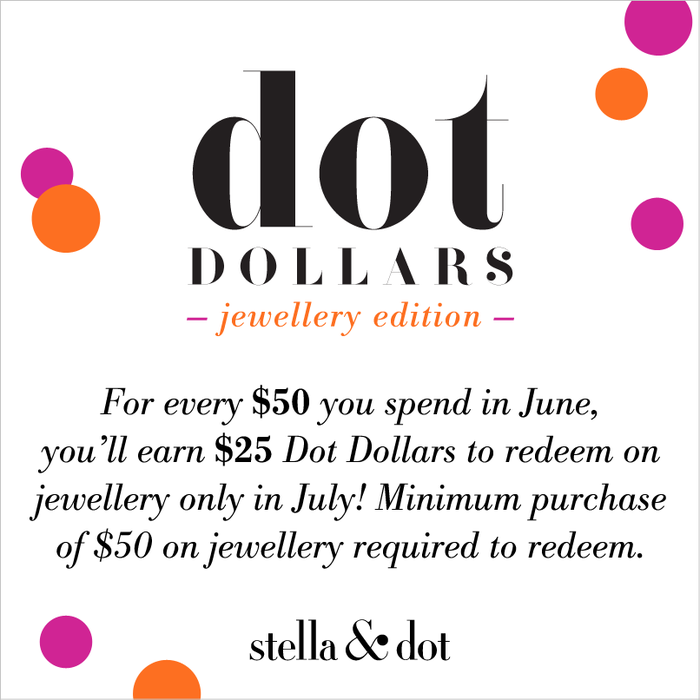 Dot Dollars - Your customers earn $25 every $50+ transaction in June, to redeem on a $50 purchase of jewelry in early July! 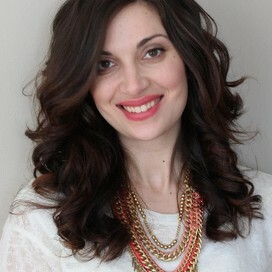 June Sign-Up Special - Your new Stylist gets an extra $100 in FREE product credit, on all investment levels. WHO WANTS FREE PRODUCT!! We do, we do! Earn Unlimited Product Credit this month by selling & sponsoring, just in time for the new Fall Collection!